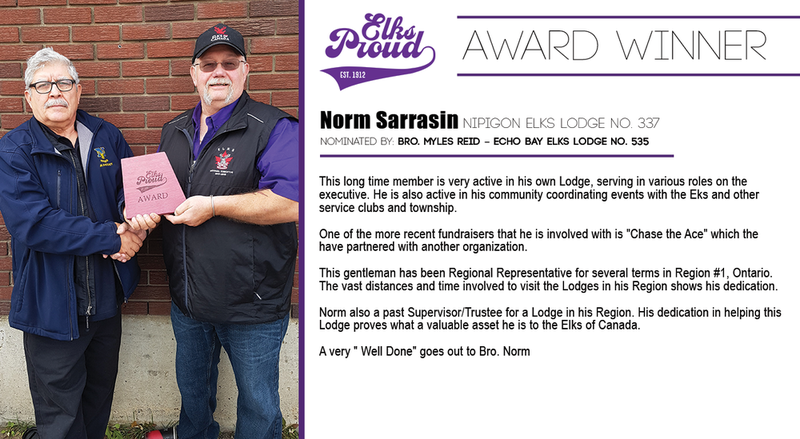 AWARDED TO MEMBERS FROM MEMBERS! 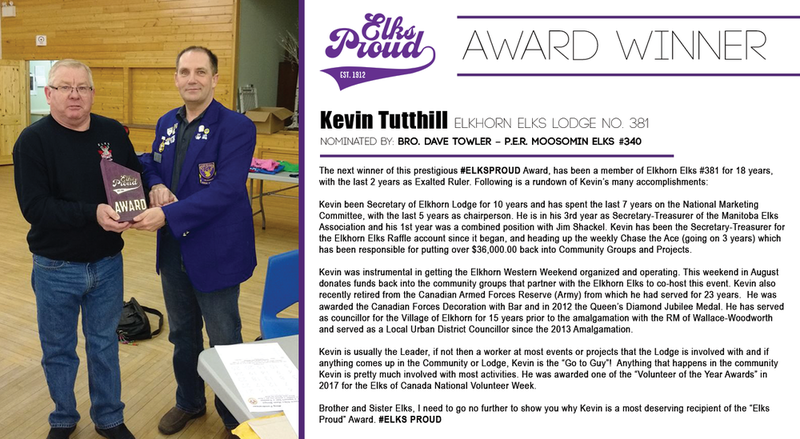 The incredible members of the Elks of Canada do amazing work day in and day out. A lot of this work goes unnoticed as it is usually completed within their respective communities or provinces/territories. 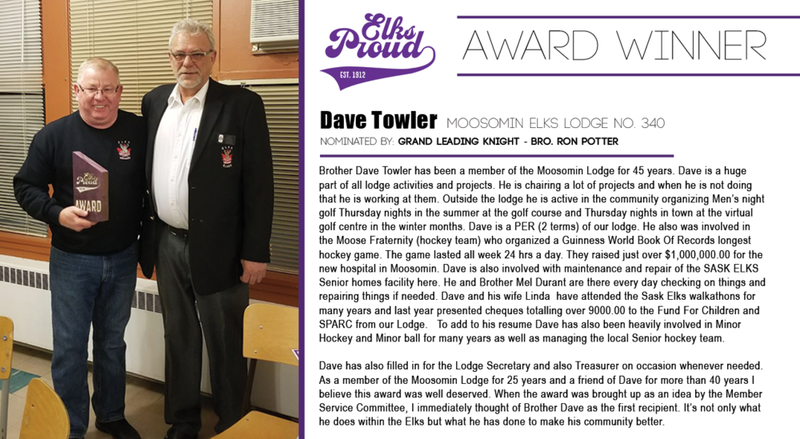 These members don't look for accolades or a pat on the back but they sure do deserve it. 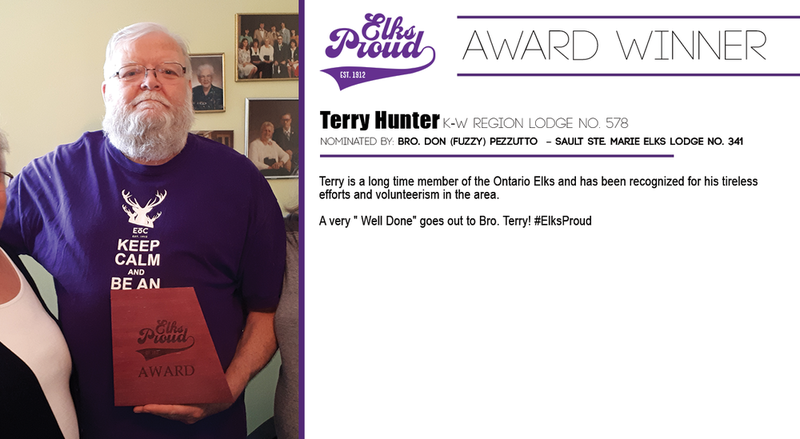 They are the unsung heroes of our organization and who better to recognize these amazing members than their fellow peers that see all the hard work they put in. 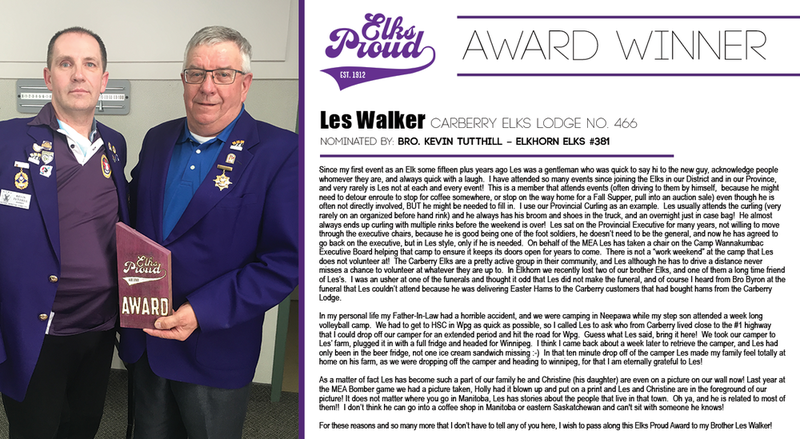 Check out our Elks Proud Blog Post here to see what the Elks Proud Awards are all about, but while you're here take the time and check out the previous winners below.